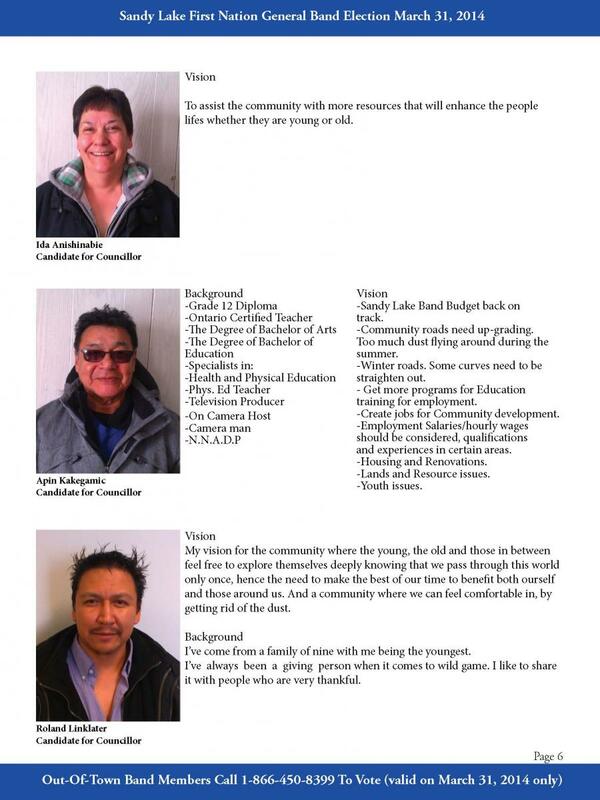 Candidates were asked to write up their own background and vision. 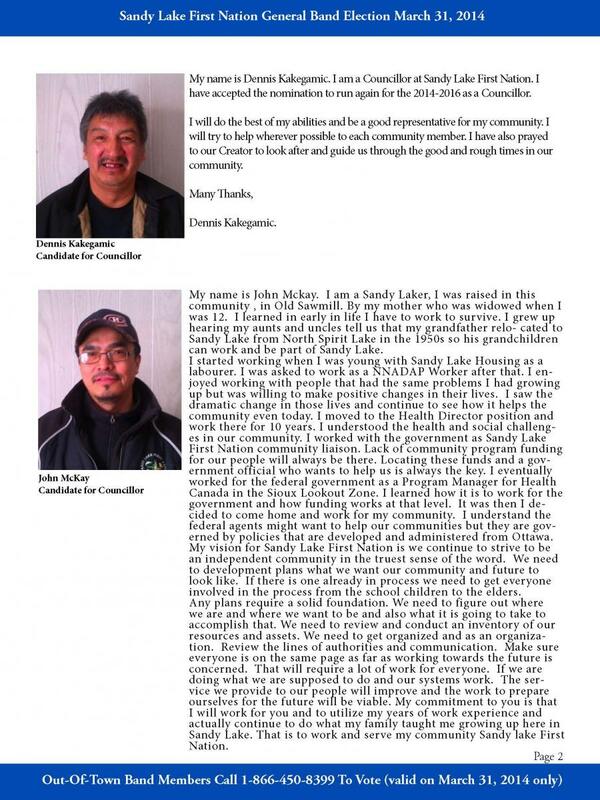 Submissions were not edited for spelling or grammer and are presented as it was received. 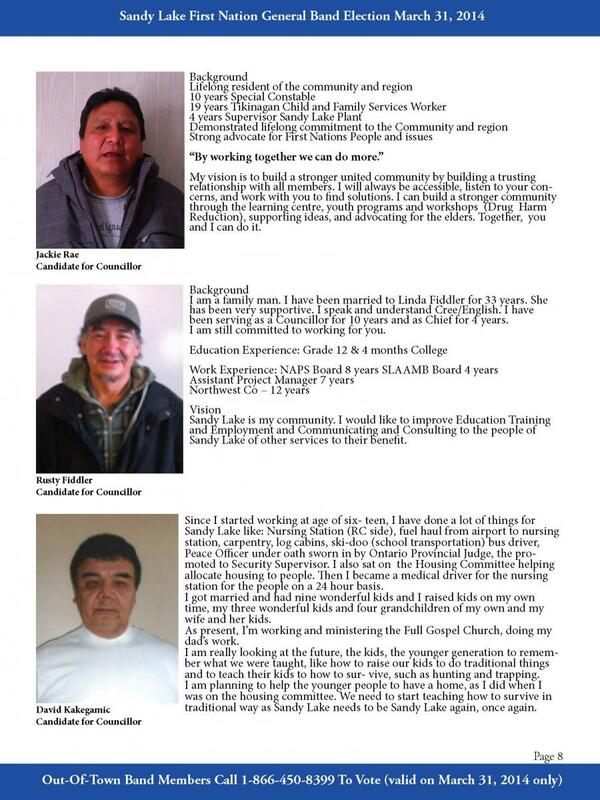 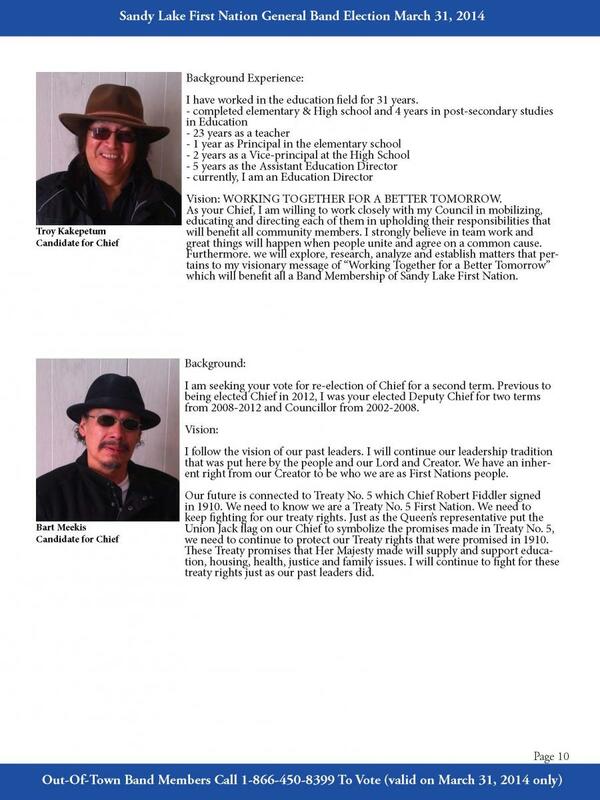 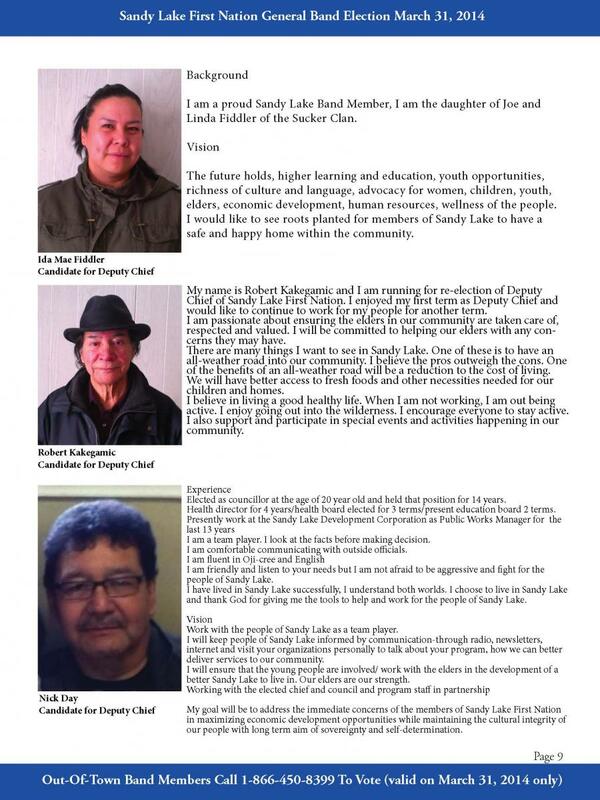 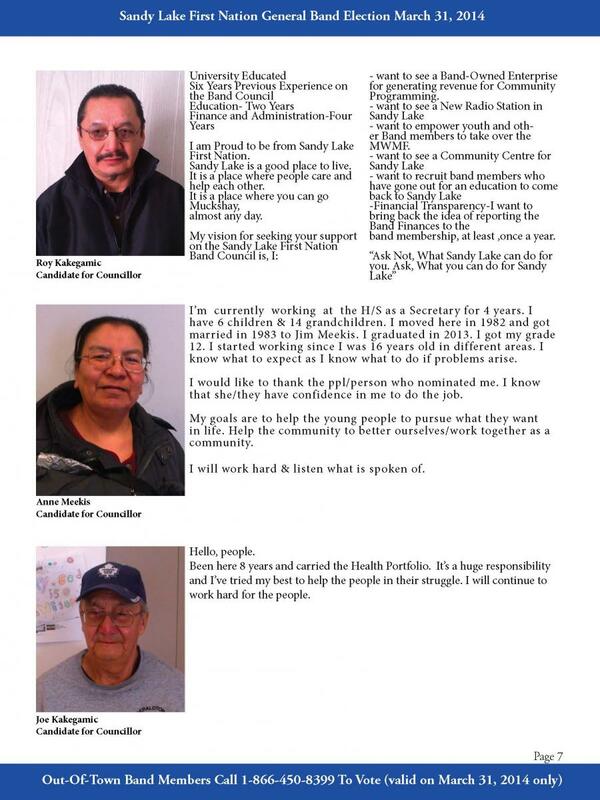 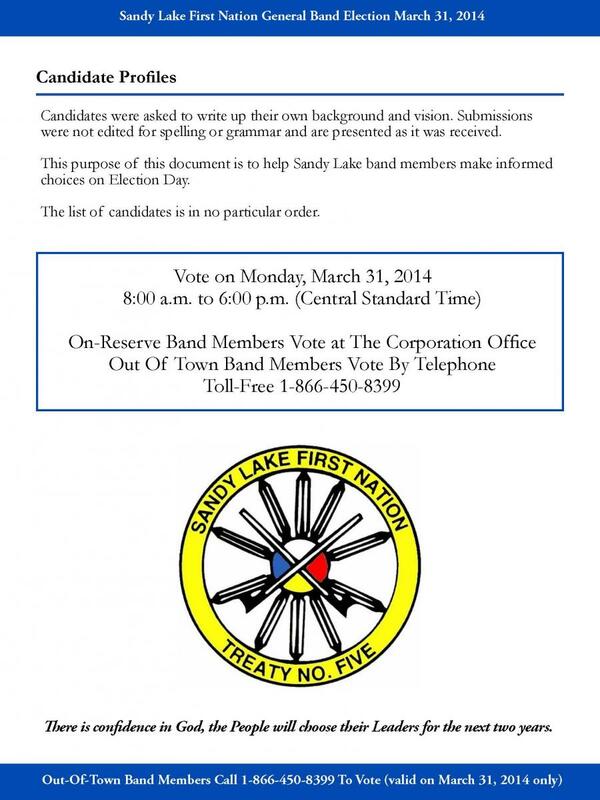 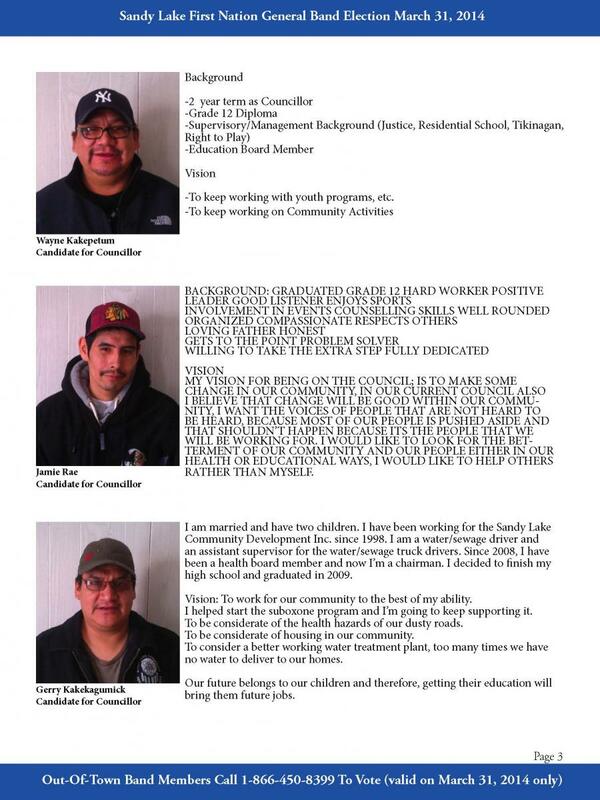 This purpose of this document is to help Sandy Lake band members make informed choices on Election Day. 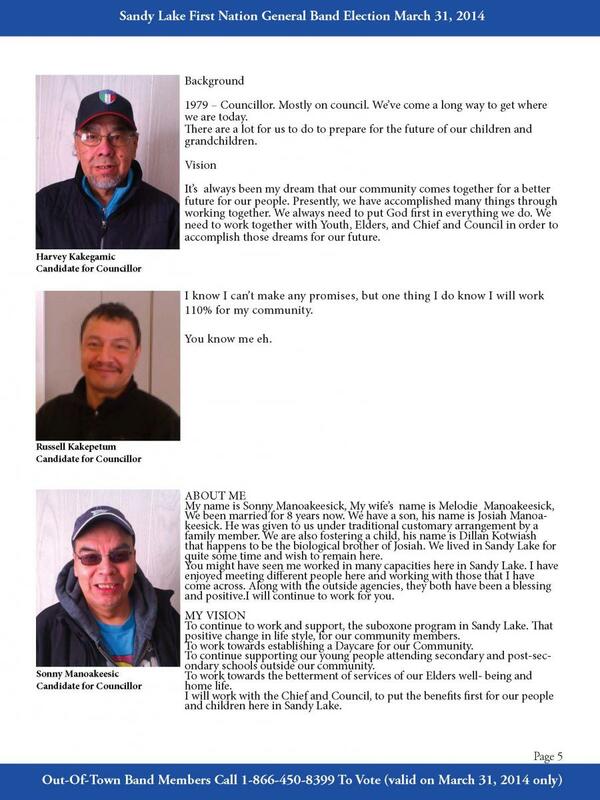 The list of candidates is in no particular order.